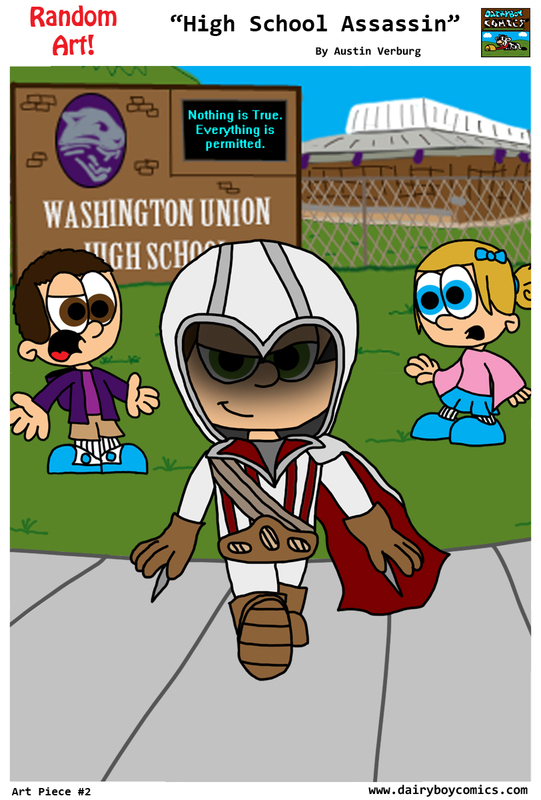 Random Art: High School Assassin – DairyBoy Comics! Another random art piece! I think I’m going to post one of these after every story arc concludes. It’ll be a good way to let the readers know that the plotline is concluded and not to expect anything immediately continuing after.